Our Members Need Your Services! 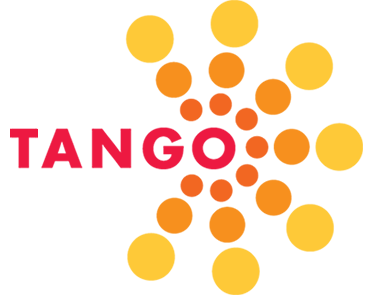 We partner with businesses who believe in "Doing well by doing good"
By becoming a TANGO Partner, you are able to reach out to over 1,200 Nonprofit organizations providing your industry expertise to help our nonprofit organizations thrive. At 501Partners, we help mission-driven nonprofits build capacity through solutions built on the Salesforce platform. Our approach guides nonprofits on how to leverage their data for greater impact – from program delivery to fundraising. Our team of trusted advisors has deep nonprofit experience and uses that experience to help your team adopt and adapt to your technology. We recognize the difficulty of working in a resource constrained environment and will help you maximize the investment of time and budget required by data best practices. 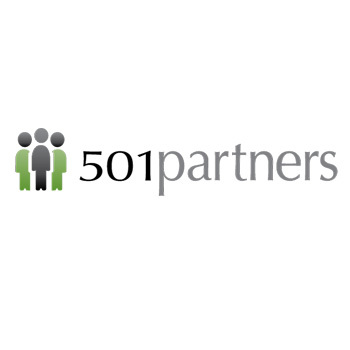 With over 250 nonprofits served, 501Partners is proud to be a TANGO Partner. To view our exclusive offerings to TANGO Members, please click here. The 501(c) Agencies Trust helps nonprofits leave the state unemployment tax system and just reimburse the state back for any claims paid out. This “self-reimbursement” option typically saves nonprofits thousands of dollars each year. It is a legal option for all 501(c)(3) organizations. It is most appropriate for nonprofits with gross annual payrolls over $1 million. The Trust has over 1,400 members and it’s goal is to provide safety and security for self-reimbursing nonprofits. If your nonprofit is in the state unemployment (SUI) tax system (or some other program), we will analyze your current costs to see if it makes good financial sense for you to join our program. If it is, then we file the paperwork with the state and set up your individual account with the Trust. On an quarterly basis you pay into your reserve account for anticipated claims, program service fees, and a recommended deposit to build your account for future claims. Membership in the Trust is a partnership with an organization that cares about nonprofits and wants to support your work in the community. The 501(c) Agencies Trust was founded in 1982 by a nonprofit executive and is governed by a nonprofit board. Every state has a deadline when they can opt out of the SUI tax system—either Nov. 30 or Dec. 1, each year. If you are interested in learning more, please contact us as soon as possible to complete an Evaluation Form and set up a time to talk with your TANGO partner at the Trust, Cynthia Koral. It is recommended that you complete your Evaluation Form by early October, at the latest. Not-for-profit organizations depend on their image and reputation to attract the continued support of donors, members, and other stakeholders. In today’s environment, the slightest doubt about the soundness of an organization’s internal controls or financial reporting can impact an organization’s mission. 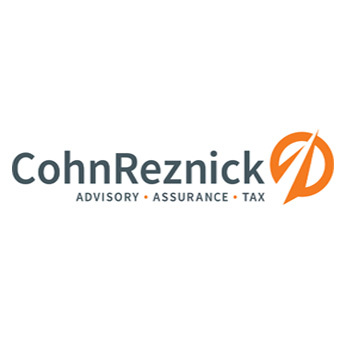 As the largest independent accounting and consulting firm headquartered in the Northeast, CohnReznick’s Not-for-Profit and Education Industry Practice is uniquely qualified to help not-for-profit organizations address many of today’s complex challenges. We help organizations enhance their image and reputation through non-traditional services that include corporate governance, operational reviews, specialized tax services, and government accounting services. Click Here for Exclusive TANGO Member Savings! CohnReznick New England offices serving TANGO members are located in Hartford and Stamford, CT and Boston, MA. Constant Contact makes it easy to create and send great-looking emails that get results fast, even if you’re a beginner. It all starts with our drag-and-drop email editor, built for speed and simplicity but still offers all the flexibility you need to get the look you want. And with powerful features like custom audience segmentation, email automation, social advertising, and email list growth tools, you’ll connect with more customers and drive bigger results with every email you send. We even provide free live support for every customer, every step of the way. TAKE ADVANTAGE NOW of your TANGO MEMBERSHIP to get the best email marketing system on the market at a special Nonprofit preferred TANGO rate. 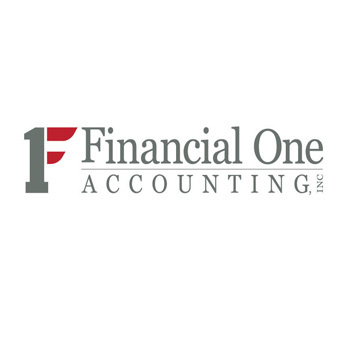 Formed in 1987, Financial One was created specifically to serve nonprofit organizations, providing them with accurate, timely, and useful financial information. With limited financial resources, nonprofits struggle to find the best mix of expertise and value. Our firm has been built by optimizing both value and specialized experience through a team approach to services. Our service teams are comprised of CFO’s, controllers, accountants, and para-professionals, allowing for best practice procedures, cost efficiencies, optimal internal controls, and concise analysis. Financial One knows the business of being a nonprofit, and will partner with you toward achieving your mission. CLICK HERE for Exclusive TANGO Member Savings! 10% discount for all other services (billing & receivables,payroll processing, and accounts payable processing. Start-up fees will be waived for TANGO members. The Hartford Yard Goats are the Eastern League AA Affiliate of the Colorado Rockies playing in the Brand New Dunkin’ Donuts Park; a state-of-the-art facility located in Downtown Hartford, CT. The Yard Goats are dedicated to providing a fun, safe and memorable experience to all who visit the park. Dunkin’ Donuts park is a versatile indoor/outdoor venue where you can not only watch a ball game, but can host a business meeting, fundraiser, reception and social event! CLICK HERE for Exclusive TANGO Member Savings! Insource Services, Inc. is a professional services consulting organization focused on providing finance, technology and human resource management support. Our trusted team of experts is ready to help your organization tackle challenges with proven tools and processes so you can remain focused on what you do best. CLICK HERE for Exclusive TANGO Member Savings! SPECIAL OFFER FOR TANGO MEMBERS! A limited accounting software infrastructure review (chart of accounts, donor tracking, etc.). A defined HR compliance review that examines five randomly selected personnel files for compliance. An IT cost analysis that examines one months’ worth of technology-related invoices. 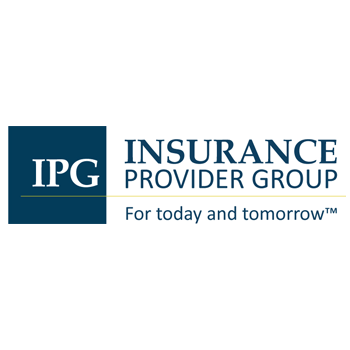 Innovation in insurance and risk management protection defines Insurance Provider Group (IPG), a full service insurance agency catering to the Nonprofit sector. IPG has over 25+ years experience serving CT’s nonprofits, including some of the largest social service providers in the area and has outstanding relationships with key insurance carriers providing programs for nonprofits to assist in coverage negotiations, loss control services and claims management practices that result in lower insurance cost. CLICK HERE for Exclusive TANGO Member Savings! TANGO Members receive Special Savings! New Workers’ Comp carrier in CT for TANGO members available directly through IPG. Exclusive Professional and Directors & Officers Liability Programs for TANGO members. You’re not secure, until you’re KyberSecure! Cyber terrorism has become a multi-billion dollar industry, larger than many of the industries upon which our country was built. As such, businesses and individuals need to be vigilant every day to ensure that they are not the next victim of a cyber attack. Vigilance takes more than installing a firewall and keeping your computers up to date, as may have been enough in the past. Businesses must take a layered approach to security, called defense in depth. This means that there are several hurdles that a cyber criminal will have to overcome in order to access your valuable data. Additionally, educating staff on the potential dangers in the cyber world is imperative as any individual is a potential breach point in your network. CLICK HERE for Exclusive TANGO Member Savings! 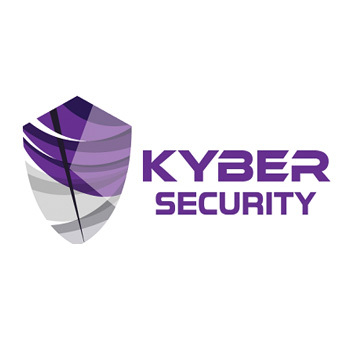 Kyber Security has dedicated professionals experienced in setting up secure infrastructures and managing them to protect your organization all day, every day. The Tax-Exempt Organizations Practice Group at Murtha Cullina counsels a diverse array of nonprofit organizations including start-up public charities, social service providers, other healthcare organizations, private foundations, educational institutions, social clubs and trade associations. In recent years, the Group has counseled clients in connection with cutting-edge projects such as the creation of integrated affiliated systems containing nonprofit and for-profit organizations as well as the conversions of non-profit entities into for-profit entities and vice versa. 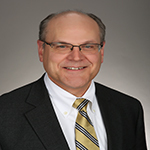 Murtha Cullina also regularly advises clients regarding planned giving issues as well as the navigation of mergers, affiliations, joint ventures and other collaborations. 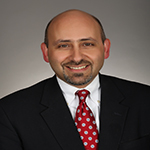 The Group invests significant time in familiarizing itself with the nonprofit sector generally by regularly presenting to nonprofit executives, volunteer fiduciaries and advisors as well as serving in volunteer capacity on various nonprofit organizations. CLICK HERE for Exclusive TANGO MEMBER Savings! 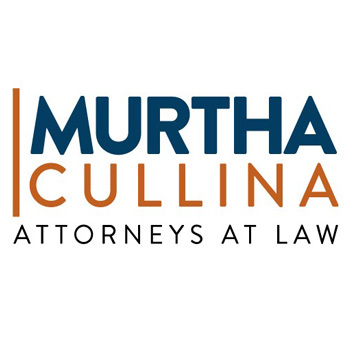 With more than 100 attorneys in six offices throughout CT, MA & NY, Murtha Cullina LLP offers a full range of legal services to meet the local, regional and national needs of our clients. Our practice encompasses litigation, regulatory and transactional representation of businesses, governmental units, non-profit organizations and individuals. Core practice areas include litigation, finance and lending, insurance recovery, labor and employment, bankruptcy and creditors’ rights, construction, energy, health care, trusts and estates, affordable housing, real estate, land use and retail and hospitality. Northern Benefits has 20 years of experience in the insurance industry, specifically with employee benefits. Our main focus is helping nonprofits mitigate the financial burden of escalating employee benefit costs. We are experts at guiding employers through the complexity of benefit plan design and conveying the merits of consumer driven healthcare options. We provide a broad view of the market and available options to help employers make the best financial and benefit decisions for their company. Along with employee benefits consulting, Northern Benefits helps employers stay up to date with compliance requirements, specifically ERISA and Healthcare Reform. We also implement and maintain HRIS/HCM systems to help employers streamline HR and benefit functions. Northern Benefits also advises employers on legislative and administrative issues that affect their benefit plans. The employee benefits landscape is changing quickly and Northern Benefits assistance with plan design, employee communication and continued service reflects the high level of support that we brings to our nonprofit clients. CLICK HERE for Exclusive TANGO Member Savings! TANGO Plan – A dental plan with benefits and rates that will make every nonprofit smile. TANGO vision, through Eyemed, allows employees to cover eye exams, glasses and contacts at affordable discounted rates. Full HRIS/HCM system provided at no cost to TANGO member clients. Employee on-boarding, open enrollment, compliance document delivery, payroll integration and PTO tracking all in one location. COBRA administration provided to TANGO member clients. SPD/Wrap and Plan Document preparation. Private Capital Group serves the investment management needs of endowments, foundations, and charitable organizations by drawing on our broad wealth planning and management experience, robust technology platform, and research resources. Our independent investment management approach allows us to act solely in the best interest of your organization to deliver unbiased, objective investment management solutions. CLICK HERE for Exclusive TANGO Member Savings! Our process begins with a thorough analysis or development of your organization’s Investment Policy Statement. This sets the foundation for the underlying asset allocation, investment research, and selection and portfolio reporting requirements. Our objective is to provide consistent, risk-adjusted returns to help grow and preserve your assets for the future. We help to build and preserve your wealth through well-constructed, diversified portfolios. Alternative investments*, if appropriate, may be strategically implemented as opportunities arise. We help add value by continuously evaluating high quality investment vehicles and managers for our clients. Our ongoing process includes monitoring account holdings, managers, and investment performance. All of your account information available to you online, at any time. Access to our web-based platform to view a record of every account transaction, examine asset allocations, and access your important personal financial documents. Monthly account statements and quarterly performance reports available online. Private Capital Group is an independent, Registered Investment Advisor with the SEC and assumes fiduciary responsibility for client portfolios. What can a proactive CPA and consulting firm do to support the mission of your nonprofit organization? Much more than you might think. Since our firm’s inception, The MFA Companies have been working with nonprofit organizations to identify practical opportunities for growth. Our solid comprehension of the nonprofit sector allows us to offer a full complement of services delivered by a team of highly qualified professionals. Partnering with The MFA Companies gives you access to financial insights and deep industry knowledge that can help your organization develop in ways that will better support your mission. As your organization grows, so will its reach, opening new doors for the communities and constituents you serve. CLICK HERE for Exclusive TANGO Member Savings! Many nonprofit organizations, especially smaller or newer entities, are used to operating with limited resources. IRS filings, compliance and risk management are more likely to be “hats” worn by a single person than separate functions handled by a team. 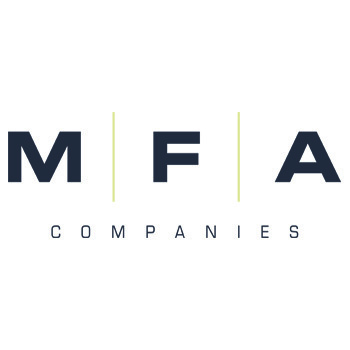 Working with The MFA Companies allows you to spend less time coming to terms with changing audit and tax compliance matters and more time working on mission-critical goals. To ensure we work together in the most efficient and effective manner, we place seasoned, team members on your project from the very beginning. Whether your organization is seeking assistance in the preparation of federal, state or local filings, reinstatement as a tax-exempt entity, a plan for the prevention of fraud or an audit of its employee benefits plan, MFA’s financial professionals can draw from their extensive experience in the nonprofit sector to ensure your objectives are met on a timetable that works for you. We believe we bring true value to the table as we take the time to explain the operating implications behind various filing options, the fundamental reasoning behind financial best practices and the rationality behind recommendations for reducing the risk of tax exposure. Each engagement is staffed by team members with the correct level of expertise for the task at hand, and every question you raise is elevated immediately to the individual who can answer it. You will quickly find that we are interested in going far beyond the exercise at hand; we strive to help you make real progress toward your operational goals. 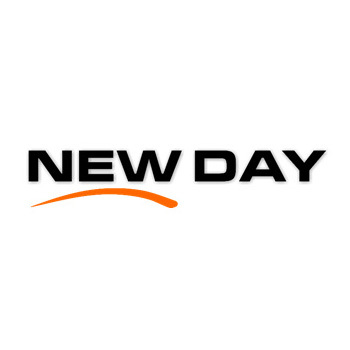 The NEW DAY Group provides high quality video production services throughout New England and beyond. Our services include 4K video production, aerial video/photo, photography, post production services, live web streaming, creative writing and storyboarding, talent casting, and television commercial production. We produce video for television, web and social media, as well as long-form videos that power the growth of organizations and businesses, communicating clear and effective messages. Our team works with you to produce compelling video to help communicate with your specific audience and meet your marketing goals. We carefully manage every aspect of each video project while working side by side with you as a partner. 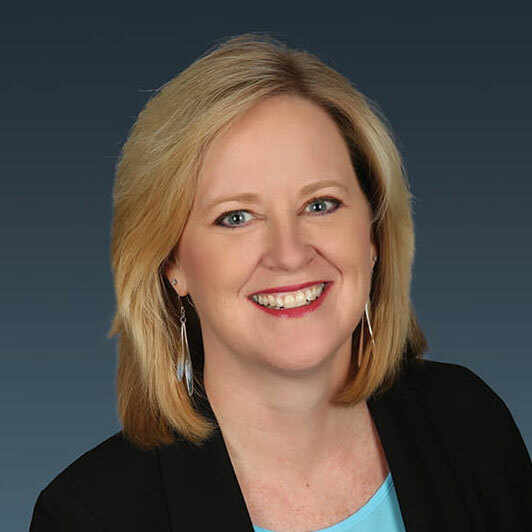 The Schuster Group (TANGO’s Founder) has been focusing on providing nonprofit organizations with innovative employee benefit, retirement, HR and insurance solutions for 25 years. Our firm has evolved into a truly socially responsive organization guided by the principle of “doing well by doing good”. What makes us different is our commitment to serving the sector, both professionally and personally. We understand that your most important assets are your employees who are committed to delivering on your mission. Our services are built to help nonprofits reward and retain talent while minimizing your risks and manage costs. CLICK HERE for Exclusive TANGO Member Savings! TANGO Members receive Preferred Rates! Exclusively created for TANGO Members! Thomaston Savings Bank has been an integral part of your community since 1874; as one of the oldest and most respected mutual savings bank in Northwestern Connecticut, we continue our legacy as a responsible corporate neighbor, committed to improving the lives of our communities with steadfast adherence to our resolute mission of philanthropy. Because we are your Community Bank Next Door, we work to make sure that those around us prosper and grow. We demonstrate our strong commitment to community in a number of ways. Bank employees are encouraged to give back to our communities by volunteering, participating in local events, and serving non-profit committees and boards. Partnering with Thomaston Savings Bank will give your organization access to high quality financial services, assisting you in achieving your goals. CLICK HERE for Exclusive TANGO Member Savings! 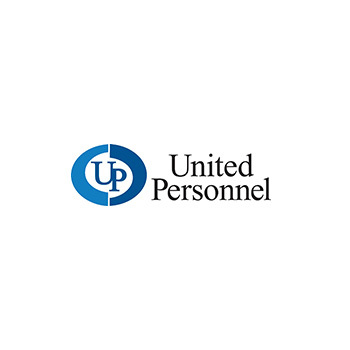 United Personnel’s mission is three-fold: providing excellence of human resources and staffing support to clients, identifying outstanding career opportunities for candidates and giving back to the communities in which we live and work. By leveraging over 30 years of experience in recruitment and staffing in the nonprofit sector, United places candidates with the hard and soft skills needed, who also demonstrate a passion for your organization’s mission – building a team with the qualifications and background to drive your nonprofit’s goals. In addition, our experienced human resources professionals can provide significant value-added services, including job description development, composition of interview questions and candidate scoring rubrics as well as search committee facilitation. United’s nonprofit division works with our partners to develop cost-effective, strategic staffing solutions recruiting for executive and administrative management, finance, communications, development and support staff in this sector. Working with TANGO members allows United’s team to meaningfully deliver on all aspects of our mission. We understand that the hiring needs of nonprofits are unique to this sector. Whether your organization focuses on education, human services, the arts or other key areas in the nonprofit arena, you need candidates who are as dedicated to the work of your organization as they are to their jobs. United provides both contract and full-time employees through our full-service staffing support, including temporary and direct hire (“perm”) placement services. Click Here to view our special benefits for TANGO Members! Webster Bank Arena and the Bridgeport Sound Tigers hockey team are committed to engaging and promoting the nonprofit organizations that help our community thrive. In addition to offering family fun entertainment, we offer several fundraising and engagement opportunities at each hockey game. In the 2015-2016 season alone, we helped local schools and nonprofits raise over $50,000. Call today to find out how we can customize a plan to fit your organization’s needs! CLICK HERE for Exclusive TANGO Savings!